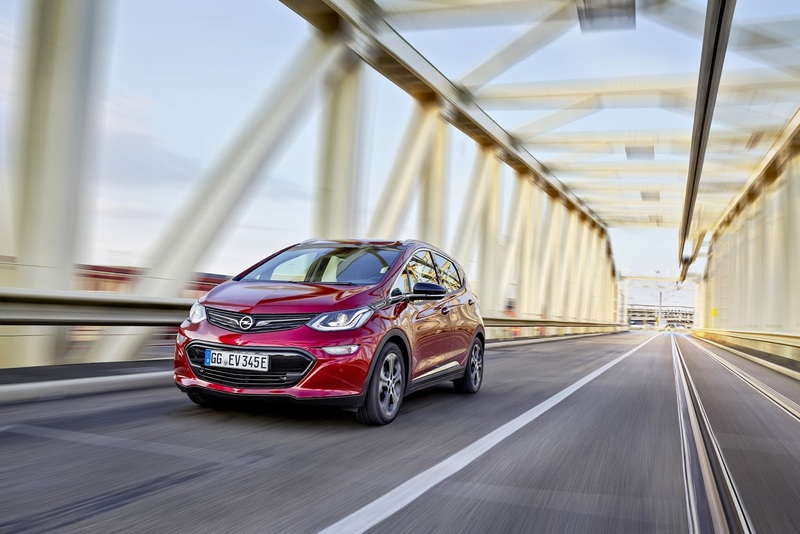 A TV crew from auto mobil, a show on the VOX channel, wanted to know exactly what the Opel Ampera-e electric range champion was capable of and whether it could drive from the most easterly to the most westerly city in Germany on a single charge. From Görlitz to Aachen - a distance of 750 kilometers. With an official range of 520 kilometers measured in accordance with the New European Driving Cycle (NEDC) Opel’s electric car boasts a considerably larger range than its current closest segment rivals. 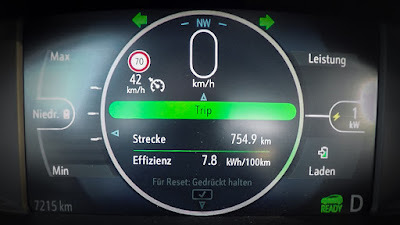 And the Opel Ampera-e also impresses when tested approximated to the speed profile defined in the WLTP (Worldwide Harmonized Light-Duty Vehicles Test Procedure) driving cycle (shortened test procedure): Based on this development test, the engineers estimate a combined WLTP range of 380 kilometers. Naturally, the range in everyday use varies and depends on personal driving behavior and on external factors. And this is exactly where VOX auto mobil head of testing Albert Königshausen and presenter Alexander Bloch come into play. 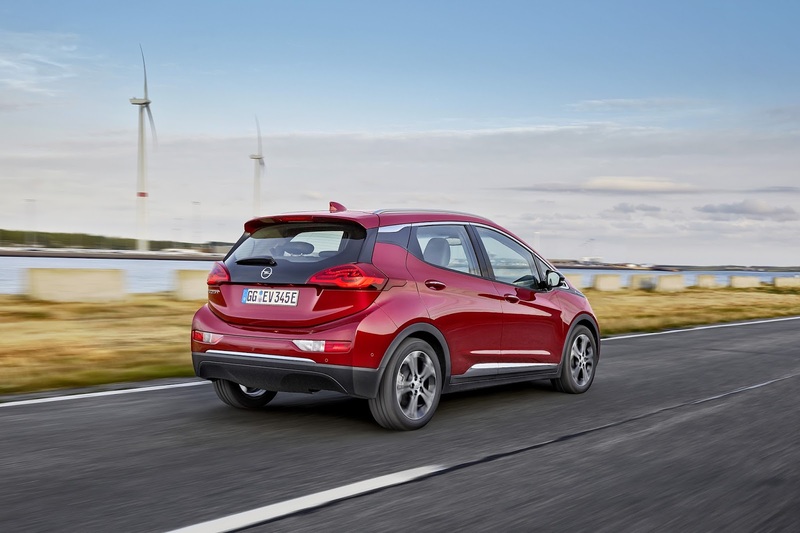 The duo set off from Görlitz in a standard Opel Ampera-e at the end of August. Their route took them along country roads towards Aachen. 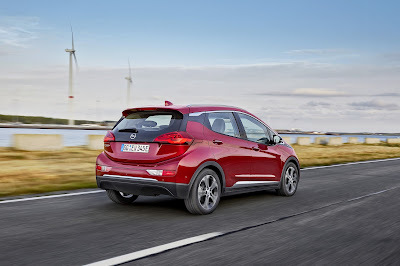 The two journalists took turns at the wheel and patiently reeled off kilometer after kilometer at speeds mainly between 40 and 50 km/h for no less than 25 hours and 30 minutes, making full use of the brake energy regeneration of the Ampera-e, thus charging the battery under deceleration (recuperation). And then the ‘external factors’ had their say. Diversions extended the route by 20 kilometers and this was exactly the distance that the duo failed to reach the Aachen town sign by. When the 60 kWh lithium-ion battery was finally flat, the distance on the odometer was exactly 754.9 kilometers. On a single charge! Apart from dazzling with its exceptional range, the 4.16 meter long Ampera-e also offers plenty of space for up to five passengers plus trunk space of 381 liters (1,274 liters when the seats are folded down). This is made possible by the space-saving underbody integration of the large capacity batteries. ‘Das Elektroauto’ also offers Opel-typical outstanding digital connectivity: The Ampera-e comes with latest generation IntelliLink infotainment, which is compatible with Apple CarPlay and Android Auto, along with Opel OnStar. Elsewhere, the Opel Ampera-e also shines with its electrifying temperament based on the electric motor with its output that is equivalent to 150 kW/204 hp (PS) and instant torque of 360 Nm. This enables it to accelerate from 0 to 50 km/h in just 3.2 seconds and from 0 to 100 km/h in 7.3 seconds – times rivalling those of sports cars. Mid-range acceleration from 80 to 120 km/h, which is especially important for overtaking maneuvers, is completed in just 4.5 seconds. Top speed is limited to 150 km/h for the benefit of the overall range.